In a time when USL-associated clubs like Forward Madison and a soon-to-be named Green Bay USL League Two club are grabbing the headlines, the purely amateur base of Wisconsin soccer- one cemented by giants like Milwaukee Bavarians and the Croatian Eagles -has received yet another boost with the announcement of the Wisconsin Primary Amateur Soccer League (WPASL). Protagonist contacted the WPASL to discuss the league’s goals in both the near future and long term. With its first year of existence approaching soon, the league has a clear direction for how large it hopes to be in the near future as it grows in the midst of an ever changing soccer environment. “We will have six teams in our league for 2019. We had interest from fifteen different cities, but there were only eight ready for play this summer, and we decided to begin with six for the first season to make sure we can keep costs low and to make sure our league will run smoothly. We hope to expand to eight to ten teams in 2020, and then we will see how many cities are ready to play after that. We will continue to announce our founding members on every Friday. It's a very exciting time for our league and for soccer in northwest Wisconsin.” The league has announced three of those clubs, including Hayward United, Rice Lake City, and the Eau Claire Heat. 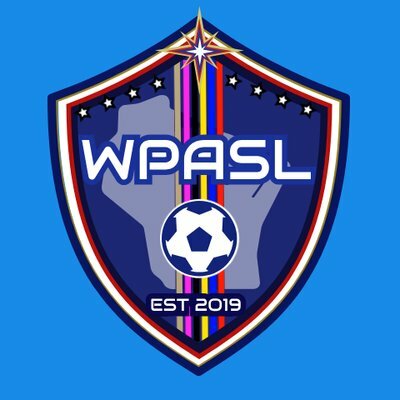 The WPASL will play its first season in 2019 with six founding members, though more are expected for later seasons. The league will be the first of its kind through its efforts to unite a largely forgotten chunk of Wisconsin under the banner of soccer. Its current operation, like most of the leagues at its level, is humble at the moment, but lower league soccer in the upper Midwest all too often has shown us that such simple beginnings can easily birth clubs that compete at the top levels. Will WPASL follow the likes of DASL and MASL and provide the beginnings for the next big club? Only time will tell. Until then, the WPASL will make sure that northwest Wisconsin is on the map of the world’s game.